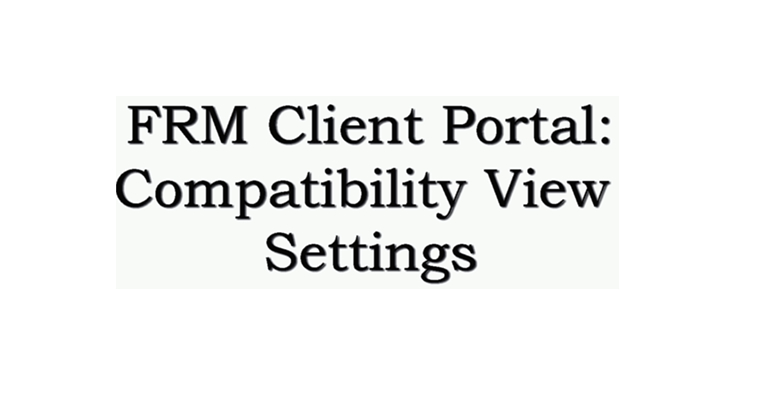 Client Portal Pre-Requirements - Financial Risk Mitigation, Inc.
You have been re-directed to this page because your web browser is not compliant with the Portal’s Technical requirements. The below video shows you proper settings for your browser. These setting changes do not require the intervention of your Information Technology Department. For additional information on compliant browsers or written instructions, please click here.